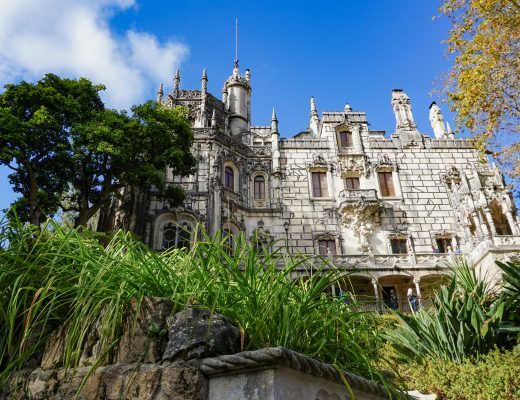 Lisbon is a charming city right in the heart of Portugal and full of so much history and culture. On my first day walking around the city, I was stopped at Praça Luís de Camões by a person with a recycled yellow bag asking me if I wanted to join a free walking tour. I had, in fact, never participated in a guided tour of a city before and so I thought I would give it a try. 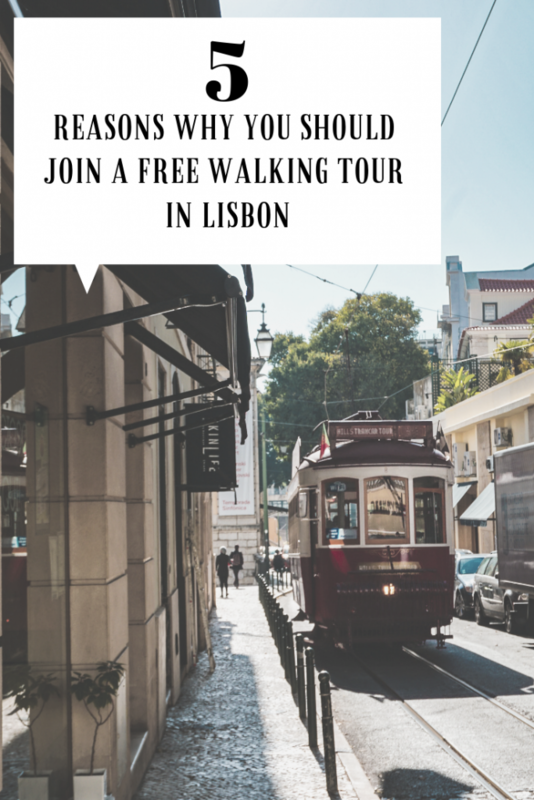 While researching on the internet for travel related sites and blogs, I had already read a lot of good things about free walking tours and so I was really excited to join. 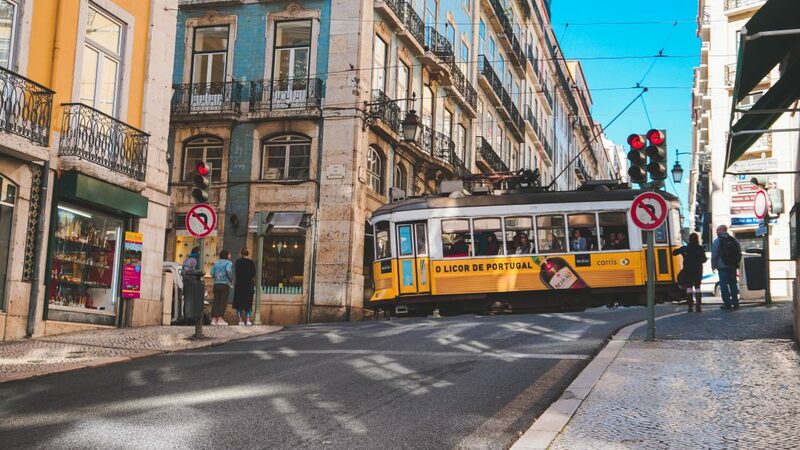 The company offering the free walking tour in Lisbon is called Lisbon Chill Out. There is an English and a Spanish tour and you can just join on the spot, there is no need for pre-booking. They offer tours daily at 10 am and 3 or 4:30 pm in the winter or summer months. Our group consisted of around 16 people from all over the world. The tour guide was a local woman who was born in Brazil but moved to Lisbon a couple years ago. Before starting the tour we were asked where we came from and what we were most looking forward to on the tour. 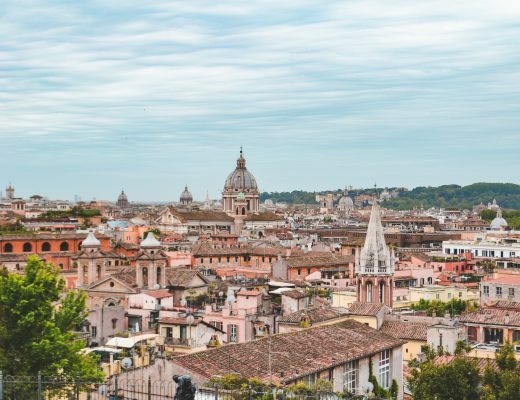 One of the great things about free walking tours is, that locals will guide you through the city and also give you their personal recommendations and tips if you need any. 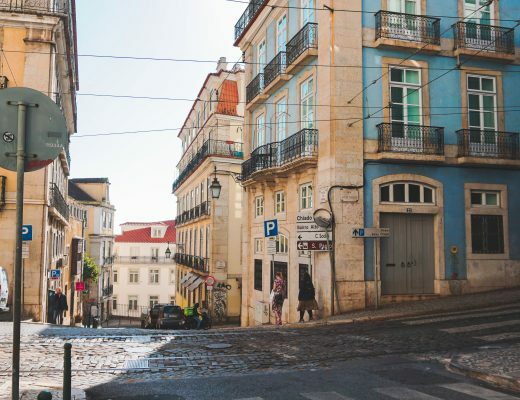 We walked through some of the famous neighborhoods such as Baixa, Bairro Alto, and Alfama. It was a really interesting tour and at no point boring or filled with useless information. 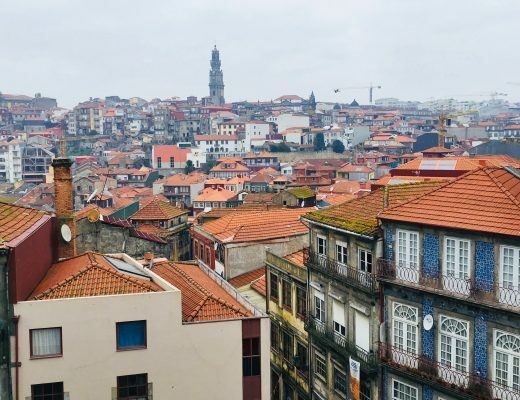 We got a short overview of the history of Portugal and then received some very interesting facts about the different neighborhoods. The one story that fascinated me the most was the one of the big earthquake in 1755 while standing next to the Carmo Convent where you could see the impacts of that tragic day. 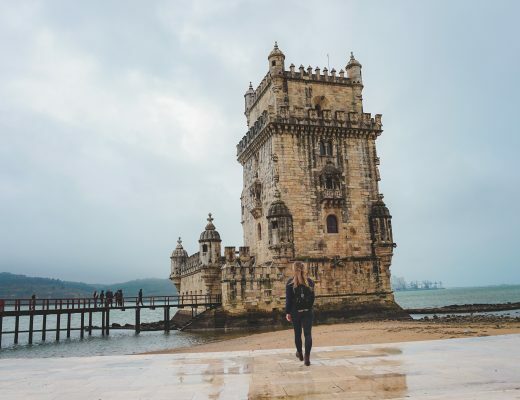 We walked around the city for about 3 hours and ended at Miradouro de Santa Luzia. At the end of the free walking tour you can give a tip depending on how much you liked the tour. I would always recommend giving a tip even if it is a free walking tour. You will most probably receive some very valuable information and get to know more about a specific city or culture. To read more about my trips to Portugal, click here. 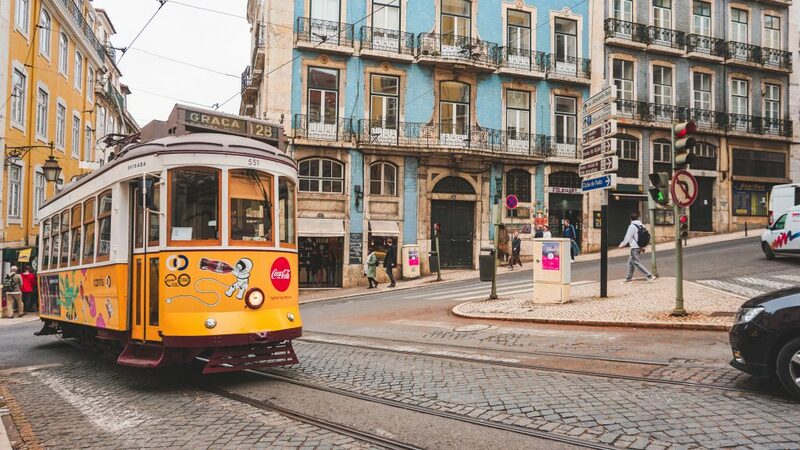 Have you ever joined a free walking tour in Lisbon or any other place? How did you like it compare to a normal tour?